One of my favorite things about having a garden is attracting all of the beautiful butterflies. It is so calming to just sit and watch them and my daughter gets so excited when she sees them. 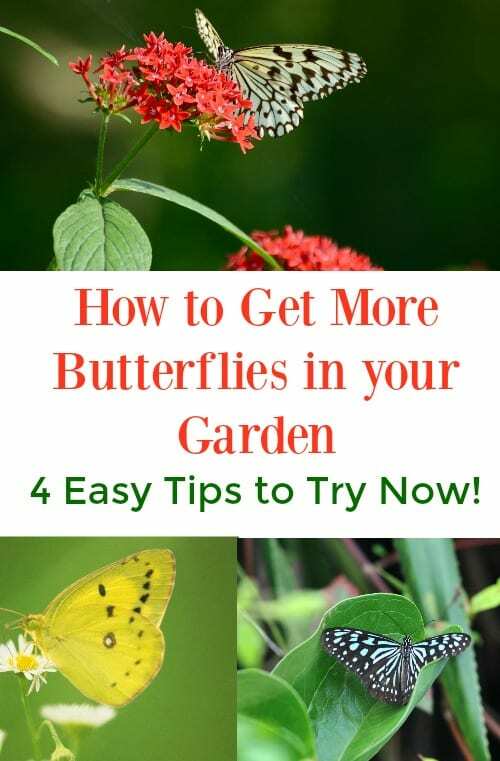 If you are looking to get more butterflies in your garden this year, here are four easy things you can start doing now. I was clueless about attracting butterflies to my garden for the longest time. I didn’t know which flowers attract butterflies and how to make it a welcoming environment so that they would want to continue to come back year after year. I learned that you have to make it welcoming to every stage of the butterflies life. You need to choose plants that attract not only butterflies for feeding but the caterpillars as well. To start attracting caterpillars, you will want to make sure to plant some violets, milkweed, and asters. For butterflies, you can consider planting ironweed, yellow coneflowers, goldenrod, verbena, phlox, and brightly-hued asters. These plants are full of nectar that will help get more butterflies in your garden in no time. Try to pick flowers that are brightly hued like reds, purples, yellows, oranges, and pinks. Not only will they attract more butterflies, but they make a much more beautiful garden. Make sure that you plant these flowers in full direct sunlight. Butterflies love being in direct sunlight so they will be more drawn to this area. 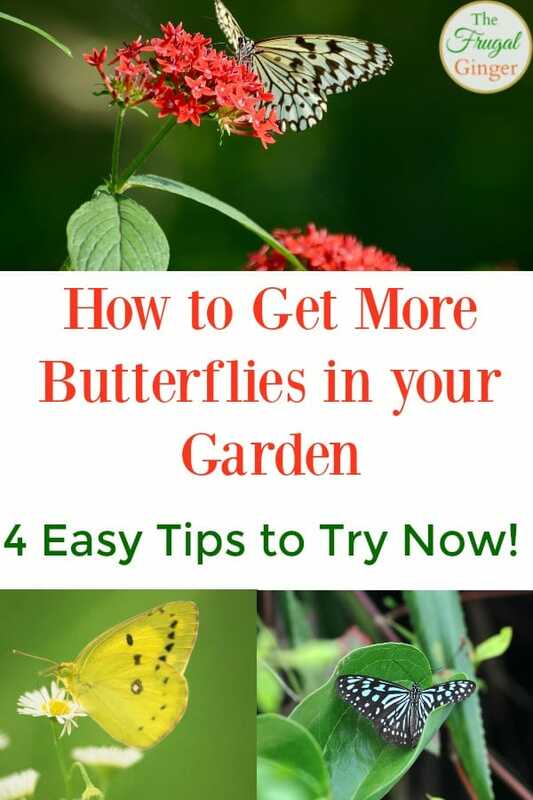 The best way to attract the most butterflies to your butterfly garden is to make it the perfect environment, not just with plants and flowers, but the surrounding areas as well. Put out some flat stones or rocks where the flowers are so that the butterflies will have somewhere to land and rest when they are not feeding on the nectar. Butterflies drink and get minerals from sandy water. Simply bury a shallow dish or pan in the soil and add sand and water so the butterflies won’t have to go elsewhere for a drink. You will want to replace the water every three days to prevent mosquitoes from breeding. If you want to attract the most butterflies and caterpillars to your butterfly garden, don’t use chemicals and pesticides. Butterflies are very sensitive to these herbicides and fertilizers so try to grow a garden as organic and natural as possible. 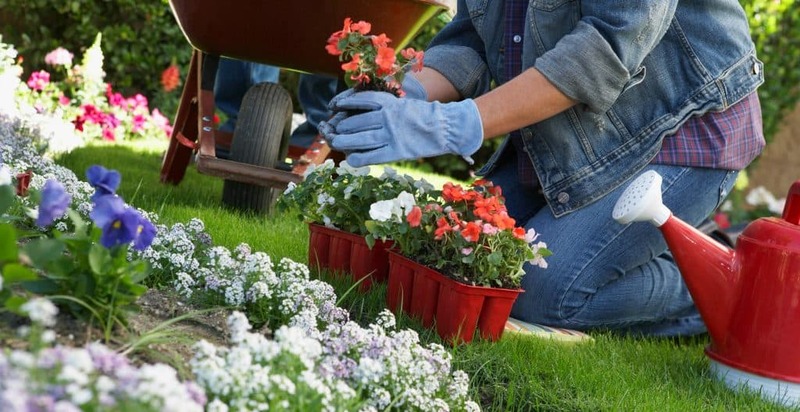 You can check out this list of the Best Organic Fertilizers for your garden or if weeds are the problem, these 5 natural weed killers can help cut down on unwanted weeds without harming the butterflies. Remember to look for the best plants and flowers for your particular gardening zone. Each area will be different as to which plants will thrive better. You can always ask for advice at your local gardening store. I love being able to get more butterflies in my garden, not only for the beauty of them but because they really help the garden thrive by being amazing pollinators. Even if you have just a vegetable garden, consider planting a few plants that attract butterflies to get a better crop year after year.